Hi lovelies! 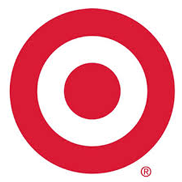 Today I'm partnering with Target to give you some great gift ideas for older kids. 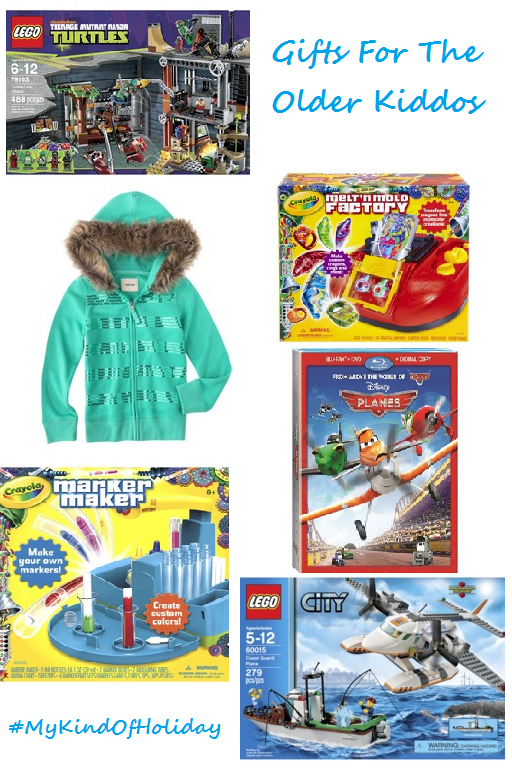 I picked out a few items from Target's Kid's Catalog that my 8 year old son and 12 year old daughter would love!! I can't make a trip to Target without them running to the toy department and asking 'Can I get this?' over a dozen times... especially my son with Legos! This Ninja Turtle set and the Lego City set would be perfect surprises under the tree for him! My daughter, on the other hand, is getting older. She's more into clothes now (btw - how adorable is this sequin striped & fur trimmed zip up hoodie? ), but still has some fun with toys. These Crayola sets are things she's already asked me for and if she's good, maybe Santa will leave them under the tree for her. I always get them movies, and Disney's Planes is perfect for them (okay, and me!) to watch while cuddled up in our pajamas with a big bowl of popcorn.